UB Sandwich delivery brings goodness to your door. From Left the Caprese, the Double Club, the Turkey Grinder and the Korean Cold Fried Chicken. Photo credit: Julie Soefer. There’s a merry multitude of events this week—and many feature Santa. Breakfast with the jolly old soul? Check. The red-hatted gift-giver showing up at your favorite wine bar? Check. Santa Claus and carolers? He’s ready to wail along with the best. 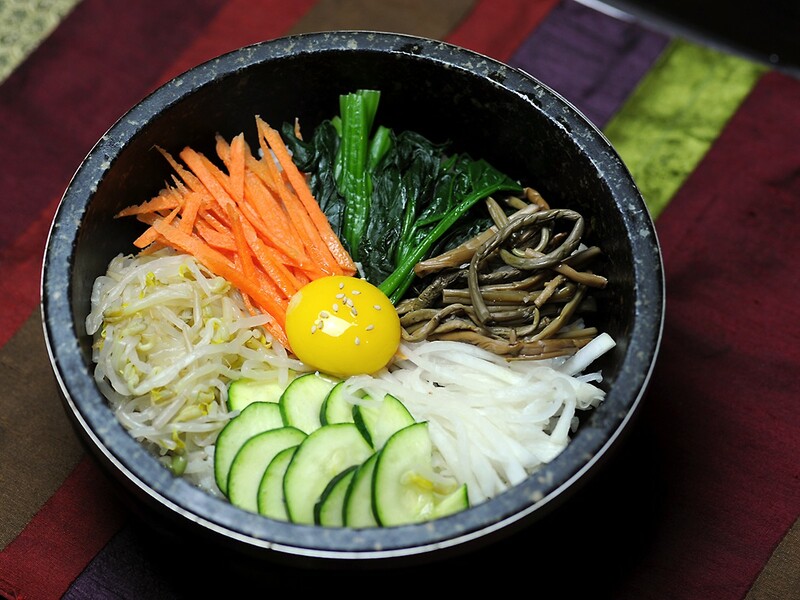 Bibimbap at Hankook Kwan Korean restaurant. Photo courtesy of Hankook Kwan. Hankook Kwan, 9140 Bellaire: Seoul native and chef Jang Yul Woo has taken over this location from the previous ownership and management. The revamped menu features traditional Korean barbecue, bibimbap, soups, stews and more using Woo’s own family recipes. The grand opening is on Friday, December 8 and weekend-long specials include 15-percent off Korean BBQ, $2 beers and $4 shots. The hours are Tuesdays through Sundays from 11 a.m. to 10 p.m.
Nancy’s Hustle, 2704 Polk: This is a new restaurant east of downtown from Sean Jensen (formerly of Public Services Wine & Whisky and The Hay Merchant, among others) and chef Jason Vaughan, a Houston native who made his name with Hogsalt Hospitality in Chicago before returning to his hometown. The restaurant group is best known for Au Cheval, Gilt Bar and Bavette’s. In 2015, Vaughan helped open Pub Royale, which served British and Indian fare and landed on Bon Appetit’s America’s Best New Restaurant’s list of 2016. The initial buzz surrounding Nancy’s Hustle has been good. Watch for our in-depth article in the very near future on the eclectic menu served alongside naturally fermented, low-sulfite wines and dry Spanish, Swiss and French ciders. SusieCakes founder Susan Sarich opened her first bakery 11 years ago. 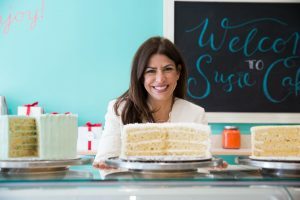 She brings her nostalgic style to Houston with the opening of the city’s first SusieCakes in Rice Village. Photo courtesy of SusieCakes. SusieCakes, 2563 Amherst: Just in time for the holidays, this neighborhood bakery, originally founded in Los Angeles, is opening its first Houston location in bustling Rice Village. SusieCakes specializes in frosted layer cakes in familiar flavors such as Southern Red Velvet, Six Layer Chocolate and Tropical Coconut. Rotating seasonal offerings feature crumble topped fruit pies baked in flaky crusts and holiday-inspired treats. The grand opening celebration on Saturday, December 9 begins at 10 a.m. and the first 50 guests receive a SusieCakes mug. From 1 to 4 p.m., activities include face painting, kids cookie decorating, balloon artists, free prizes with purchases, raffle to win free cake for a year, dessert samples, and a chance to meet Susie. Peska, 1700 Post Oak: The Galleria seafood spot won critical accolades for its presentation and variety when it first opened in 2015. Following the inaugural fanfare, however, it never quite found a foothold. The restaurant parted ways with original chef Omar Pereny, stated it was going to become steakhouse PesKarne and then settled on the name Peska Cocina Latina. A press release indicated that the one-two punch of Hurricane Harvey and lengthy construction along Post Oak Boulevard proved to be the killing blows. Peska shuttered last week. Executive chef Chris Loftis told us he is remaining with Jade Hospitality Group, which acted in a consulting role to Peska and owns Grazia Italian Kitchen. benjy’s on Washington, 5922 Washington: Benjy Levit’s eponymous casual dining spot is serving its last Sunday Supper on New Year’s Eve. The closing ushers in a complete redesign and metamorphosis into The Classic—All Day, a fresh take on a classic neighborhood diner launching early Summer 2018. Etoile Cuisine et Bar at Uptown Park. Photo by Debora Smail. Etoile Cuisine et Bar, 1101-11 Post Oak: Chef and owner Philippe Verpiand, who owns the Uptown Park French estaurant with his wife Monica Bui, creates two special prix-fixe menus each month, with a portion of each sale given to a designated monthly charity. This month, the beneficiary is De La Salle Vietnamese School in Cypress. Hurricane Harvey leveled the chapel, school and the home of the De La Salle Sisters, who operate the school. The school serves the greater Houston-area Vietnamese population by educating children ages 5 to 14 in the Vietnamese language, traditions, and culture. Although it teaches in the tradition of St. John the Baptist de La Salle, it welcomes students of all faiths. Verpaind will donate $7 from every $65, four-course, weeknight prix-fixe dinner and $4 from every $29, three-course weekend brunch to the recovery efforts. Celis Brewery, one of Texas’ craft breweries in Texas, was originally founded by famed Belgian brewer Pierre Celis in 1992. It’s been absent from the Houston beer scene for the last 17 years. But this month, the brew is back, and will be distributing its signature beers again. To celebrate, a number of Pint Night and Tap Takeovers are planned as listed below, headed by legendary Celis Brewery beer and owner Christine Celis. FM Kitchen & Bar’s Old Fashioned, with apple-infused whiskey, walnut and vanilla bitters. Photo courtesy of FM Kitchen & Bar. FM Kitchen & Bar, 1112 Shepherd: Happy Hour has been extended to seven days a week, on Sundays from 6 p.m. to close and Monday through Saturday 11 a.m. to 6 p.m. Included as part of the revamp are a new cocktail menu and daily offerings. Stop in on Monday for 50-cent wings or take advantage of Topo and Tacos on Tuesday. 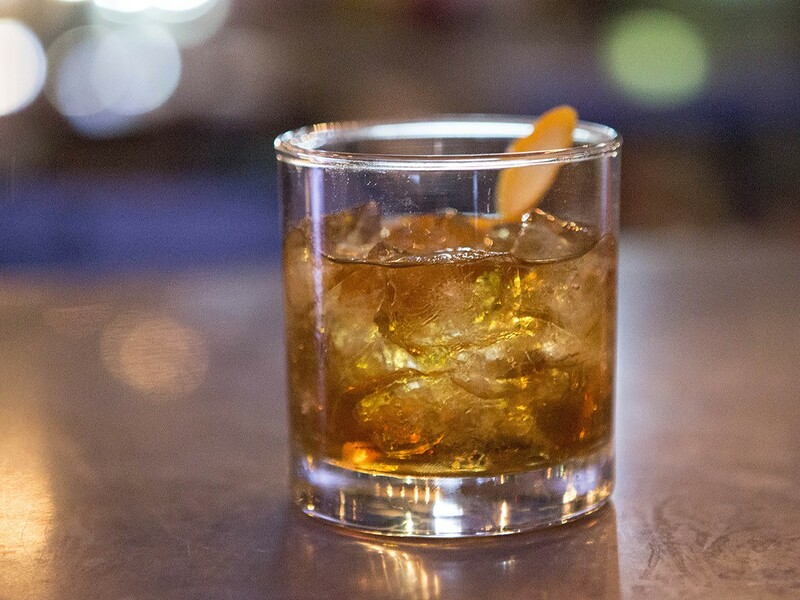 Pair them with a Zombie Punch of three-rum blend, grapefruit, falernum and lime or the FM Old Fashioned, with apple-infused whiskey, walnut and vanilla bitters. UB Sandwich delivery brings goodness to your door. From Left the Caprese, the Double Club, the Turkey Grinder and the Korean Cold Fried Chicken. Photo courtesy of Underbelly. Chris Shepherd, the James Beard Award-winning chef behind Underbelly, is getting into the sandwich business. “I grew up eating old-school sub sandwiches, so for me it’s nostalgic. It’s that comfort feeling,” he said via a press release. 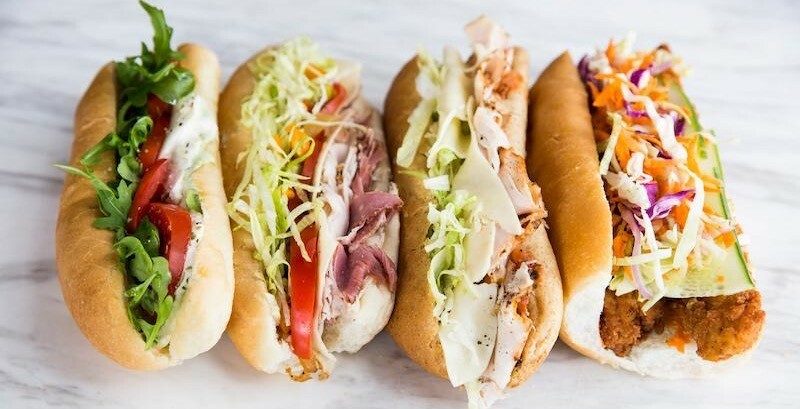 Underbelly is offering a selection of six sandwiches and three salads plus several options for sharing, such as a crudité platter, a charcuterie platter and a mixed-sandwich platter, all under the banner of UB Sandwich. Online orders of boxed lunches (minimum order $150) can be placed for delivery via a website. Orders inside the 610 Loop will be delivered free of charge. All orders must be in by 9:30 am the day of delivery. 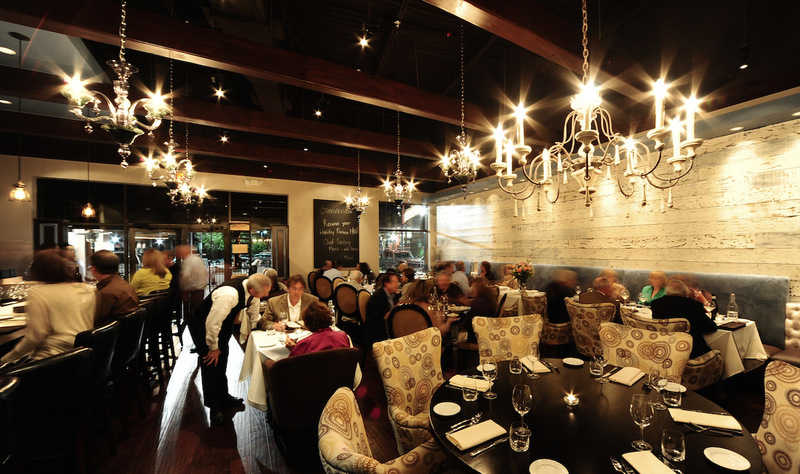 La Table, 1800 Post Oak: The upscale Galleria French restaurant is offering Hanukkah favorites from December 12 through 20. A la carte selections include matzah ball soup, potato latkes, homemade challah Bread, and La Table’s signature Heritage Chicken for 2 served with mushrooms, winter vegetables and potato purée. Four Seasons Hotel Houston, 1300 Lamar: Kick off 2018 with an action-packed Wellness Weekend from January 5 through 7. Festivities begin on Friday evening with a welcome party in the Spa & Fitness Center, followed by a Sunrise Salutations Yoga Class on Saturday morning. Smoothie making classes go on throughout the weekend. There’s an invigorating workout class from Michael Chabala’s POWA by Sphere and a skin care class on Sunday. Guests will be offered the Houston’s Residents Package rate for overnight accommodations, which includes 15-percent off the room rate, daily breakfast for up to two guests and complimentary valet parking for one vehicle. Dish Society, 5740 San Felipe: The Galleria restaurant is hosting its first-ever beer dinner with local craft brewery Back Pew Brewing Company. The four-course meal includes farm-to-table freshness like beer-braised beef stew and caramel apples, paired with Back Pew’s signature brews. The event starts at 6 p.m. and is $45 per person. Purchase tickets online. Central Market, 3815 Westheimer: Get into the holiday spirit with a stroll through one of Houston’s favorite foodie destinations. Along the way, sample bites and wines designed to help you imagine how to infuse a little style into your holiday entertaining. Katy Taylor High School’s Expressions Show Choir will perform. The festivities run from 5 to 7 p.m. It’s free to attend, but guests must register online. MKT Bar, 1001 Austin: The 7th Annual Friends & Family Holiday Karaoke is being co-hosted with Karbach Brewing Company. Enjoy Karbach seasonal brews with Yuletide food pairings and sing your heart out. Holiday is attire encouraged. 9 p.m. Kids will love the buffet offerings and chance to meet The Man with All the Toys at the Hotel Derek’s Breakfast with Santa. Photo courtesy of Hotel Derek. Hotel Derek, 2525 West Loop South: Gingerbread waffles and a hot cocoa bar are just part of what’s on the menu at the hotel’s Breakfast with Santa event. Kids will also be treated to Christmas movie screenings and, of course, adorable photo opportunities with Santa. Breakfast is from 9 to 11 a.m. and costs $45 for adults and $35 for children 3 through 14. Children under 2 are free. Email for reservations. Sonoma Wine Bar, 2720 Richmond and 801 Studewood: Both locations are hosting a customer appreciation day. The kid- and pup-friendly event features the opportunity to have some fun, grab a glass of wine or two and take photos with Santa Claus. His first stop is at Sonoma Upper Kirby from 5 to 6 p.m. There’s also a pop-up shop featuring small leather goods by Opal R. Helm. Then, Santa will head to Sonoma in the Heights just in time for Lights In The Heights from 6:30 until 7:30 p.m. Mulled Wine Sangria is on special for $5 dollars a glass and brand-new wine flights are available, too. See link for more details. Updated 12/6/2017, 10:29 a.m. Downtown Aquarium, 410 Bagby: Breakfast with Santa features a buffet-style breakfast with everything from fruit to waffles to salads and meats. Adding to the festivities, “Sharkey” and Santa Claus will swim around the restaurant’s tanks with all the fish, and pose for photos with guests. Reservations are required; call (713) 223-3474. 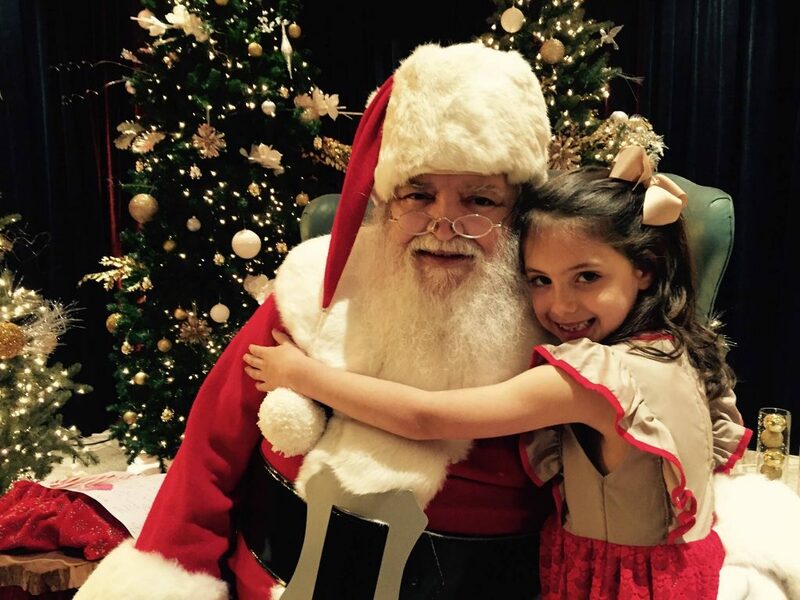 La Table, 1800 Post Oak: Every Saturday and Sunday, beginning December 9, La Table brings back its family friendly Brunch with Santa. A special family-style brunch menu will be available featuring signature favorites like Orange Brioche French Toast. Additionally, La Table will have festive activities for children including photos with Santa and gingerbread house decorating. The kids will feel fancy with the special menu available at the Hotel Granduca’s Holiday Children’s Tea. Photo courtesy Hotel Granduca. 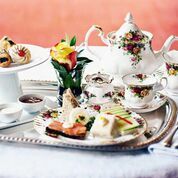 Hotel Granduca, 1080 Uptown Park: The swanky hotel’s Ristorante Cavour, features a festive riff on the hotel’s signature tea service with its Holiday Children’s Tea. Special tea menus for both children ($29) and adults ($59) are available. 3 to 5 p.m. Reservations are required. Call (713)-418.1000. Backstreet Cafe, 1103 Shepherd: These two Saturday evenings see the cozy restaurant transformed into a winter wonderland. Bring the family for a festive holiday evening complete with Santa Claus and Viva Voce Victorian Carolers. Dinner service is from 5 to 9 p.m. with Santa and carolers from 6 to 8 p.m. Bonus for mom and dad: there’s happy hour pricing until 8 p.m. along with the a la carte menu. Call (713) 521-2239 for reservations.